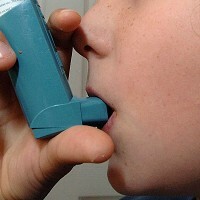 Asthma sufferers will soon be able to calculate how at-risk they are from a serious attack thanks to a new online test. Set up by charity Asthma UK, the new website will allow sufferers to gauge their danger zone, and access advice on how to control the symptoms. By answering a set of simple questions about factors linked to increasing the risk of serious asthma attacks that demand hospital admission, sufferers will fall into one of three categories, colour-coded like traffic lights. The green category means the person is at no increased risk of a severe attack, while the red category means the person runs a highly increased risk. The website could help sufferers decide how far is safe to travel for their next holiday, and form an action plan for controlling their symptoms. The test could also help them work out which level of medical travel insurance they need to take out, depending on how at-risk they are from a serious attack. Asthma UK maintains that around 75% of asthma-related emergency hospital admissions could be prevented. The website advises people what they can do to minimise the risk and stay healthy. Dr Samantha Walker, director of research and policy at the charity, said: "The test is designed to make people sit up, take notice and make changes to the way they manage their asthma if they are shown to be at an increased risk of an asthma attack." The website also includes information on what to do if someone has an attack.